Part One: I want my FMU. The WFMU marathon is fast approaching — so bear with me while I wax evangelical about the radio. 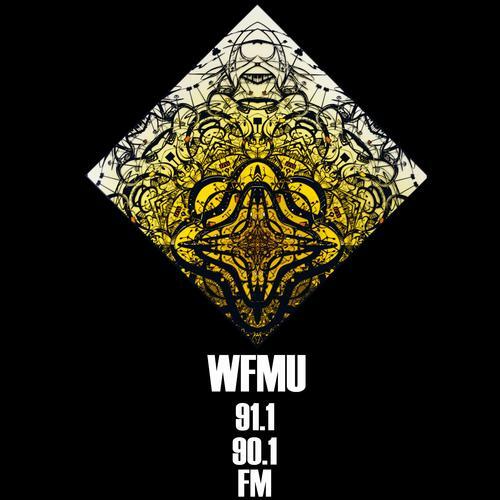 For going on five years, just about as long as I’ve lived in New York, Jersey City’s freeform radio station (91.1; wfmu.org) has provided a near constant soundtrack to my work life — in spite of poor reception downtown, thanks to high-speed hookups at home and office. It started off as innocent flirtation: I’d tune in now and again, mostly Wednesday afternoons for Irwin’s show. He’d just produced Langley Schools Music Project, a CD of found recordings from a Canadian elementary school in the ’70s: choruses of kids (backed by the school band) singing Paul McCartney, Bowie, a lot of Brian Wilson tunes, and a heart-rending rendition of “Desperado.” Irwin’s show was just as quirky, never predictable, and always smart; the opening theme, along with the “It’s Irwin time” leader, became a favorite part of my week. Soon Wednesday afternoon became Wednesday morning — station manager Ken’s show, with its anti-Bush and anti-FCC screeds — and after that I was hooked into the weekly lineup. If Irwin and Ken satisfied my cravings for kitsch, Monica’s Friday afternoon show made me realize the full orgasmic potential of radio without borders. How does she have such a grasp of so many periods and genres? (To start with she’s been in the business for a hell of a long time: she used to head up Tommy Boy; she signed De La Soul.) Months of listening to Monica made me realize that the FMU shows I gleaned the most from were the ones that took “freeform” most seriously, ranging from archival Broadway recordings from the turn of the century to a country or disco rendition of the Star Trek theme, all within one set, and without the least hint of incongruous juxtaposition. To sermonize on the virtues of freeform radio to my friends is, I realize, preaching to the choir. I have the sort of friends who compete over fandom of this stripe, who submit entries in WFMU contests (to wit: the above illustration), and who phone in requests and dedications knowing they’ll actually be appreciated. It’s nothing to get a call in the middle of the afternoon: “Dude, are you listening to this?” I have to pack an extra pullover when heading out, because someone’s bound to have on the same FMU shirt I’m wearing. We argue about whether the accuplaylist has greater functionality in relation to the archives or to live listening. (I still maintain that “accuplaylist” is a live function and “time-stamped” or “clickable” playlists are the archival counterparts. And now I have web proof to back myself up!) I’ve been to parties in the far reaches of Brooklyn during which our own record collections and portable storage devices fail us and we call, round about midnight, to ask Black Ops or OCDJ to play something we’re particularly itching to hear. And anyone who went to Lane’s last show probably remembers the half-dozen discmen on hand, loaded up with mashups so complex they made your head want to explode. The little labels on the back of the CD sleeves bore the Golden Question: “What do you know about WFMU? Would you like to know more?” (I’m obviously not the only evangelical one in my circle.) Someone at the opening pointed out Michael Goodstein to me, the kid who used to play the most amazing post-punk sets, spinning odd 7-inchers from bands I certainly never knew as a teenager. Where is Michael Goodstein now? By this point I’m starting to feel like Ira Glass, recording infomercials for the NPR fundraiser, guilt-tripping listeners into online donations. But I warned you my feelings on this topic bordered on religious. 2. You can’t concentrate without noise in the background. It may be the final episode of Friends, slowed down to last the full three hours of Kenny G’s show. It may be Neil Young 45s slowed down to 33 1/3. It may be an old cassette tape someone found in the neighbor’s garbage, but you’ve gotta have noise on. By the same token, when you spend enough time listening to WFMU your ear starts to train itself, the same way a day immersed in Chelsea galleries resets your eyes, so that when you walk out into the world everything looks different, framed. When you’ve been listening to FMU for several hours straight, the sound of the 6 train arriving at Union Square might even become a likely candidate for radio play. 3. You declare fierce allegiances. Who’s really better — the night DJs, or the daytimers? Do you actually agree with Tom Scharpling or just like to listen to him? Can you stomach Kenny G, or is his one of the daytime slots you use to listen to the night time shows you’re not awake for? Where do you draw the “listenable” line? Fabio? Diane’s Kamikaze Fun Machine? Who has the best “bed music,” the tracks DJs play behind their voiceovers? (Scott Williams, hands down.) The best reentry at mic break? (Tony Coulter‘s “And I’m back.”) Will Liz Berg be able to hold her own? (Well, her show picked up when she started playing longer sets, but she still talks a leetle too much.) Who would be your desert island DJ? 5. Your appetite for new noise becomes insatiable. Tolerance levels increase. You constantly listen for the kinds of connections that will make good mixes for your friends. You cultivate a preference for recordings that challenge your ear. Freeform radio is the perfect antidote to a mainstream music industry that can’t think of anything new beyond the next prefab Strokes or Bloc Party or Interpol knock off, and since all those bands are hopeless (and shameless) knockoffs you know the situation’s bad. I still listen to a lot of rock and roll, some of it hot off the press; I just like to spread it thin with a healthy dose of Doug Schulkind playing Cow Cow Davenport and other treasures from the ’20s. Every January I spend a couple weeks in a flurry of downloading, based largely on a handful of “Best Of” lists I’ve come to trust. This annual ritual leads me to more music released the previous year, gathered in a matter of weeks, than I actually listened to in those twelve months. Imagine my surprise, last month, when three different trusty sources yielded suprisingly similar lists — which turn out to have been written by the same fellow: Rob Hatch-Miller, aka WFMU’s Hatch, who not only has a stake in Other Music and Dusted magazine, but used to have his way with WNYU as well. I stumbled onto this set of connections after pilfering Hatch’s Best Of list for FMU. I had not yet listened to any of Hatch’s shows, I admit. (He only started as a regular in April and plays Sunday nights from midnight to 3; now I listen to him during the week when one of the daytimers isn’t holding my attention.) I was intrigued that he topped the list with Antony and the Johnsons — a predictable choice for end of the year hipster lists (and not without reason, my occasional grumbling notwithstanding); Broadcast and Animal Collective fit the same bill — and yet I’d never heard of the rest of his favorites. After tracking down about half of his remaining entries via Soulseek, and after listening to his end of the year show repeatedly over several days, I realized that I had quite possibly found the FMU DJ whose sensibilities most closely matched my own (which puts him right up there with Trouble, who is separated from me, if at all, by only one or two degrees of eighteenth-street lounge): Hatch’s show features a healthy blend of new release indie, especially the freak-folksters, ambient/avant-pop, and high minimalism, mixed with a splash of Bacharachy sounds of the early 70s, all leaning just enough away from plodding and toward the operatic to make my soul soar when it really gets going — the same feeling I get when I listen to Bowie sing “Word on a Wing” on a beautiful day in the park, headphones on, coming out of something long and slow and electronic, like Jim O’Rourke’s I’m a Happy, and a Singin’ and a 1, 2, 3, 4. Here’s what else happened after this year’s downloading spree: I found a set of records I like to think of as Sunday morning sounds, things I want to listen to as a whole — turning off the freeform shuffle long enough to drink my coffee and participate in the High Liturgy of the Church of the New York Times. These albums fill the slot Feist and Sam Prekop held in the summer — but these aren’t albums for stretching out at the end of a long summer night so much as they’re for stretching out at the start of a short Sunday morning. Over the next while I’ll scatter brief reviews of some of these recent finds in my contributions to The Great Whatsit. For now I’ll stick to one I gleaned from Hatch’s list: Nils Økland’s Bris. 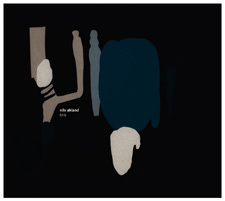 Nils Økland combines Norwegian folks traditions — including religious music that predates the arrival of church organs to Norway — with forays into contemporary minimalist composition. While he’s worked with folk tunes in the past, the songs on Bris (which translates as “Breeze,” though I would add brrr) are his own, though they retain a traditional flavor. His label, Rune Grammophone, is better known for its improvisational electronica offerings, stuff along the lines of Supersilent. But Økland’s second album for RG remains traditionally instrumental: Økland himself on violin, viola, and Hardanger fiddle (an indigenous Norwegian instrument, central to the country’s folk music since the 17th century, whose sympathetic strings offer rich harmonic reverb or overtones); Sigbjørn Apeland on harmonium; Mats Eilertsen from label-mate Food on double bass; and Per Oddvar Johansen and Håkon Stene on percussion. If I were a Norwegian director making a film about an old guy who keeps a lighthouse — maybe a mysterious woman comes his way, offering love and home cooking; maybe a murder mystery creeps into his solitary tower when his brother the ex-con comes seeking shelter — Bris would serve as an apt score. (“Gjennom,” the penultimate track, even sounds like a battle between good and evil, the brothers wrestling over a fish knife in the highest reaches of the lighthouse, a ship in harbor, depending on the flickering oil lamp that waits inches beyond their grasp.) Perhaps the instrumentation here appeals to me because I spent a significant part of my life — ages 9 through 19 — playing in an orchestra, and nothing heightens my nerves and sets my seratonin into motion more than the sound of strings tuning: that’s where this album takes me as it opens. Or maybe it’s the abundance of Danish DNA backed up in my bloodlines, though who knows if the Danes play Norwegian Hardanger fiddles? This is music that simulataneously excites and soothes, and this morning, as I write with two feet of snow piled outside my terrace door, it’s the sound of waking up on my own terms. It turns out, by the way, that this album was intended as a film score — though not for one about my friend in the lighthouse but rather about a Norwegian Romantic painter in the 19th century who wound up in the loony bin. It sounds more spare to me than that. Maybe 19th-century Norway was more spare, though, than 19th-century France, “Romanticism” notwithstanding. This ain’t your mother’s Chopin. These are sounds to keep you listening: they don’t recede to the background, they aren’t accompaniment. But they don’t keep you from breathing, either. Or from taking your morning slow, which is, after all, why I recommend switching to long players on Sunday mornings. Bris had heavy rotation on FMU back in May, though it didn’t catch my ear then, one song at a time: I apparently needed it in its full ship-to-shore glory. So let it snow, and let your goddamn harbors fill with ice. Listen to excerpts from “Slor,” “Seil,” and “Avminnast,” by way of Boomkat. Update (2/15/06): WFMU’s blog for today includes links to two Irwin Chusid essays on the nature of New York radio and the meaning of “freeform,” both from the mid-1970s. I thought they’d make nice accompaniment to my love letter, above. More Sunday morning music by Bryan’s definition (sorry that many of you will have heard it already): Fennesz, Bibio, Anderegg (a gem), William Basinski, Eliane Radigue. If you can handle the religiousity, try some Arvo Paart. I myself like old country music on Sunday mornings, for some reason. I love this meditation on sound. I’m listening to Tony Coulter right now and feeling super happy for the surprise gift of a psychedelic soundtrack on a howlingly windy Monday in Chicago. I’m with Dave on the old country music Sundays, though I like to put on Loretta Lynn’s hymns and sing “Everybody Wants To Go To Heaven (But Nobody Wants to Die)” at the top of my lungs pretty much anyday. Am I not correct that there’s something utterly pleasant — even comforting — about his mic break routine: “And I’m back. Yes I’m back.” He has the greatest voice. Well, you had mentioned it, so I was expecting him to say it, but then it was so much softer than I had expected. It’s playful and understated. I’ll be tuning in next week. He just played a song that Dusty covers, “No Stranger Am I,” which totally made my day. Nice update (link to essays by Irwin of WFMU about freeform radio). My Sunday morning music is gypsy world latin klezmer punk (Gogol Bordello, Gotan Project, Shantel’s Bucovina stuff, Fanfare Savale, Hip Hop Hoodios, Koby Israelite, Rabbinical School Dropouts, Taraf de Haidouks,…), but that is probably due to my personal history at WCBN in Ann Arbor, MI, and two great Sunday morning/noon DJs there. What do you mean? Kenny G is therapy. how about “he’s a palette cleanser”? > When you’ve been listening to FMU for several hours straight, the sound of the 6 train arriving at Union Square might even become a likely candidate for radio play. I’ve had this experience too. One day in the early days of web audio, I put on the audio stream on Wednesday at work, expecting to hear the end of Ken’s show and the start of Irwin’s. But the provider’s connection was down, apparently, and all I got was an undistinguishable sound effect with half a “tune-in-later” announcement endlessly repeated and endlessly interrupted in the middle. I listened to this accidental ostinato for about three minutes straight before it dawned on me that it wasn’t some avant-garde creation that either Ken or Irwin had picked up from an obscure record label. It wasn’t the 6 train, exactly, but it was equally believable material, by WFMU standards. By chance, I found out that Yo La Tengo’s much-vaunted live appearance on FMU’s fund drive was this last week. I finally had the opportunity to listen to what has become a well-loved yearly event for YLT fans. The band appears live during the fund drive. They take requests from listeners who donate $100 or more. It was great fun, though very sloppy at times. The band are given a list of requests, try to learn the songs while the dj’s pitch the drive, then go live to play the songs for the first time. Somebody requested a whole lot of Bob Dylan this year, which was okay, but imho a bit of a waste. The trick is to pick something obscure-ish, sweet, and/ or unexpected. Good requests (again imho) were “Suspect Device” (Stiff Little Fingers), “Instant Karma”, “What’s So Funny (‘Bout Peace Love and Understanding)”, and “Werewolves of London”. Anyway, just thought I’d put up another comment on this great post about a great radio station. Thank god for the internet and d.s.l., so that those of us who live outside the NYC area can listen to FMU whenever we want. There’s nothing like it anywhere else.